Amy Ward is a graduate of the University of Alabama in Tuscaloosa, where she earned her bachelor’s and master’s degree. She also competed the intensive Surgeon’s Assistant Program at the University of Alabama at Birmingham earning a Bachelor of Science degree to support her passion for assisting with surgical procedures. Amy has more than 20 years of extensive surgical and operating room experience, including skin cancer excision and MOHS micrographic surgery, reconstructive plastic surgery and orthopedic surgery. She works closely with patients during their initial evaluations and diagnosis through treatment and follow up making sure every question is answered, and any concern addressed. 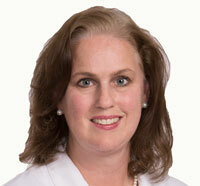 Amy is a member of the American Academy of Physician Assistants and the Society of Dermatology Physician Assistants.